attractive, well-executed typography adds elegance and improves communication. Poor typographic execution can seriously degrade otherwise inspired design." type face, that compels readers to ultimately buy. 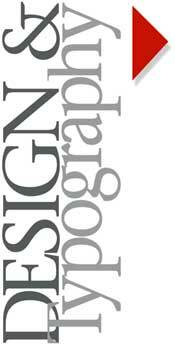 Typography and design are as one, in importance at Digital Productions. We are professional in our approach to communication with our customers,and are very sensitive to their needs and expectations. Graphic Design should be a factor for planning for every aspect of any company. For example, Your company Identity is more than just a logo on a letterhead and a business card. It's colors, type faces used in communications, your front door - what customers take away in their memory of you. Business transactions begin with the image you present your customer, and should follow through to the invoice. Planning should be done with a professional designer.